Oooh I do love a good pair of Christmas PJ's and a Christmas jumper! I haven't quite managed to convince my hubby of this new tradition I am trying to bring in every year, however myself and my daughter always get both! F&F at Tesco have their new range of Christmas clothing online and it doesn't disappoint, there's something for everyone. I neeeed it all!!!! 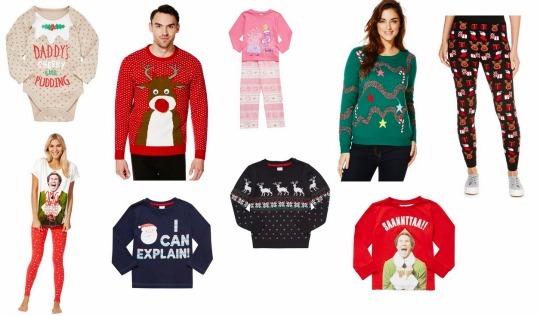 Here are a few of my favourite Christmas clothing items over at Tesco right now, sure to get you in the Christmas spirit! Home delivery starts from £3.95 and is FREE on orders over £50. You can also choose to Click and Collect your order for FREE to your local store.